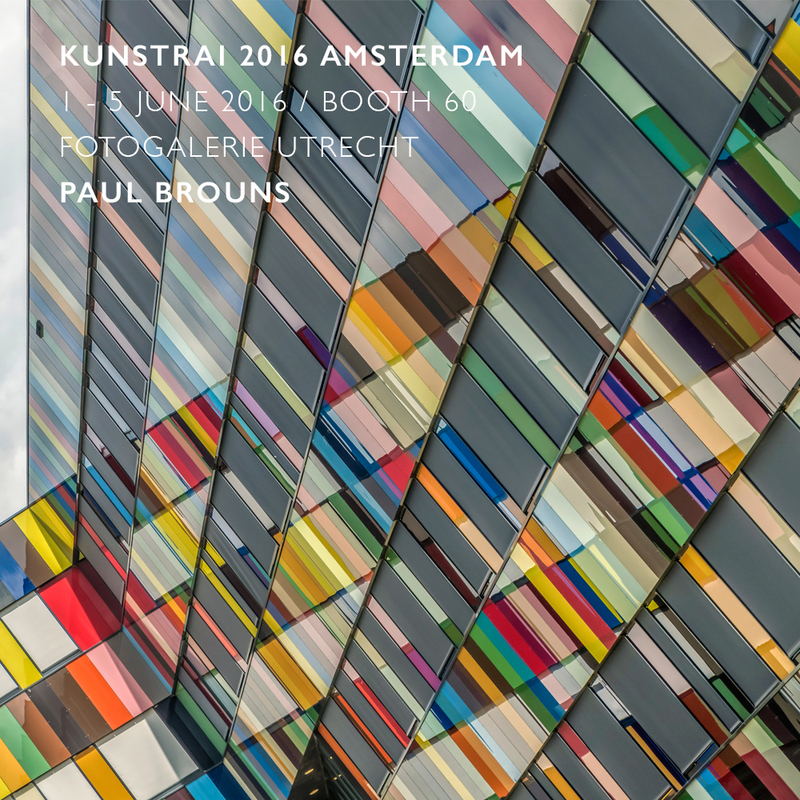 From 1 – 5 June work by Paul Brouns can be seen at this year’s KunstRAI / ART AMSTERDAM. This is the longest running art fair for modern and contemporary art in the Netherlands: A fair with 70 high class galleries who reflect the diversity, quality and pluralism of the historic rich offer of Dutch art and design. Paul Brouns’ work is all about rhythm, color and urban abstraction. His photography based art will be featured in a fantastic new printing technique, called Chromaluxe. This technique is based on dye sublimation on a coated Aluminum plate. Not only does this technique offer very beautiful details and vivid colors, but also it is also much more durable and long-lasting than any other technique. Together with several other artists of Fotogalerie Utrecht, you can see Paul’s work at booth 60. Thursday June 2, 12.00 – 21.00 hrs. Friday June 3, 12.00 – 21.00 hrs. Saturday June 4, 11.00 – 18.00 hrs. Sunday June 5, 11.00 – 18.00 hrs.